For a classic coastal bite to eat that’s almost eclipsed by the brilliant view, head to Yacht Basin Eatery. This waterfront restaurant with seasonal outdoor seating and a location on the very edge of downtown Southport features impressive vistas that are perfectly enjoyed with a cold cocktail, a light bite to eat, or a big meal where Low Country staples and American classics are the norm. Yacht Basin Eatery prides itself on both homegrown and regional ingredients, which includes homemade dough, sauces, dips, and dressings, and a number of ice cold beers that are from North Carolina. The menu is fairly typical for a coastal restaurant, but varied, with an array of starters, sandwiches, Galley Grill sandwiches, fried favorites, and seafood specialties. The restaurant is, however, unique in that it has a big range of Italian dishes which includes pizza pies in small and large sizes, specialty pies and Stromboli, and classic Parmigianas & Sautés, such as Franchaise, Piccata, and the staple Parmigiana, which can utilize eggplant, chicken, veal or shrimp, and which is served with pasta. 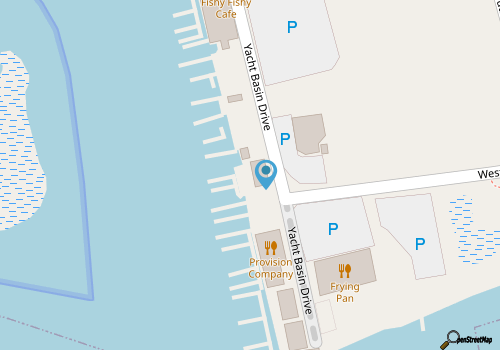 With a lot of options for patrons, and a sunny view that’s hard to beat in the downtown area, Yacht Basin Eatery is a fun destination that can cater to patrons of virtually all tastes. Call (910) 363-4108 for current hours.